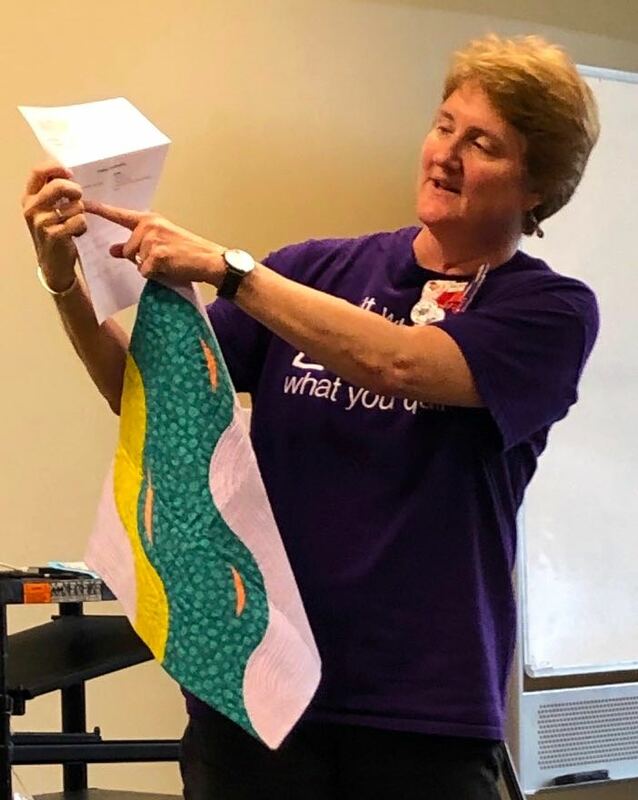 Rose Daley, president, led the meeting. 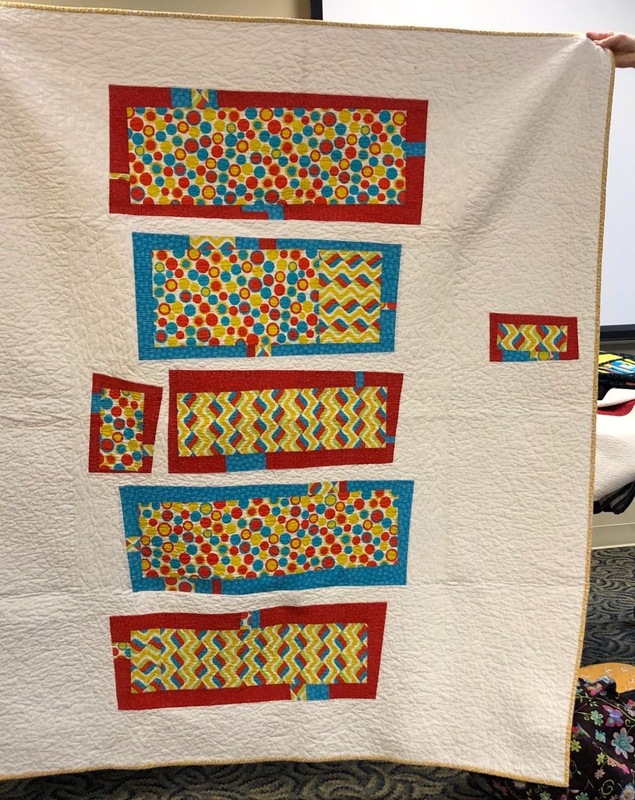 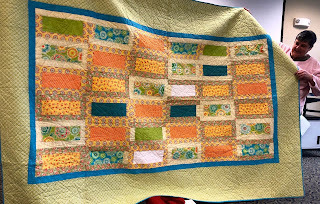 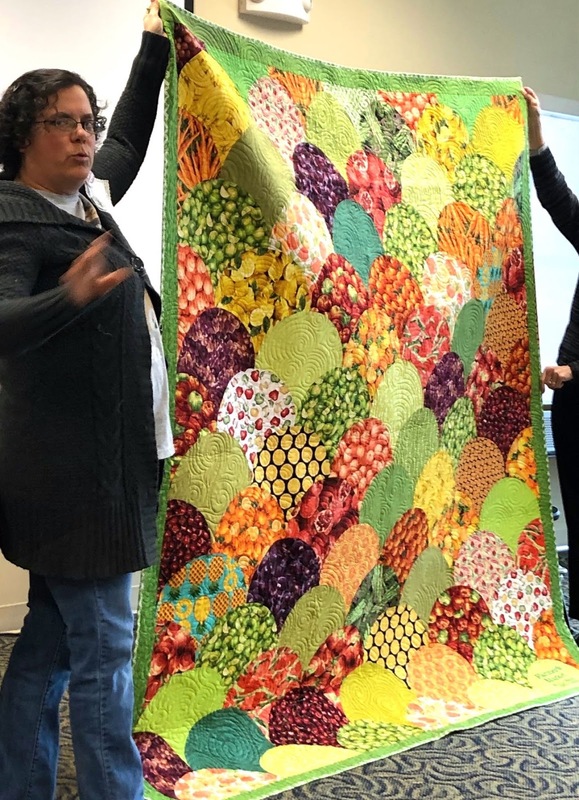 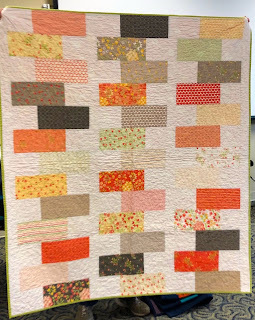 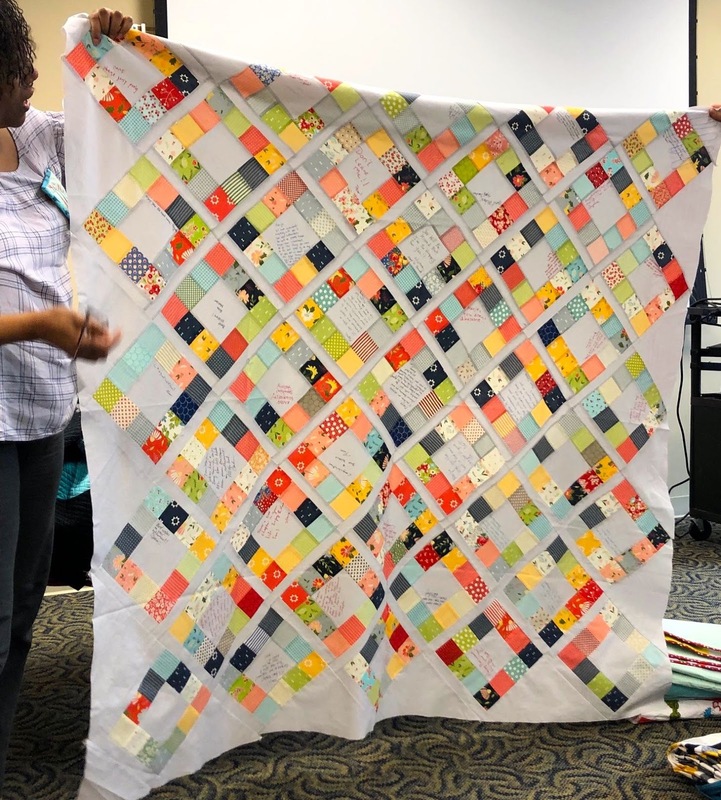 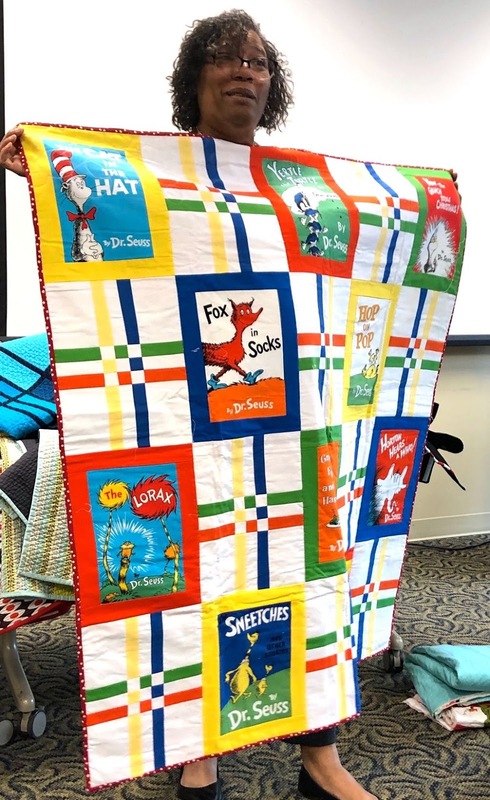 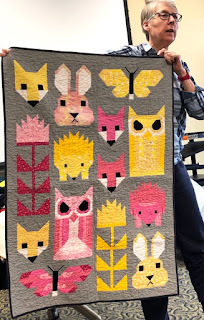 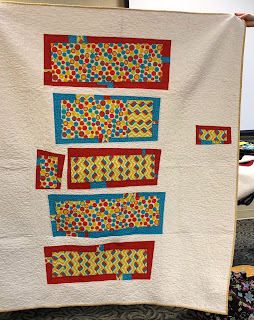 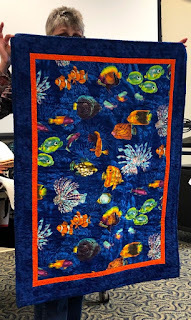 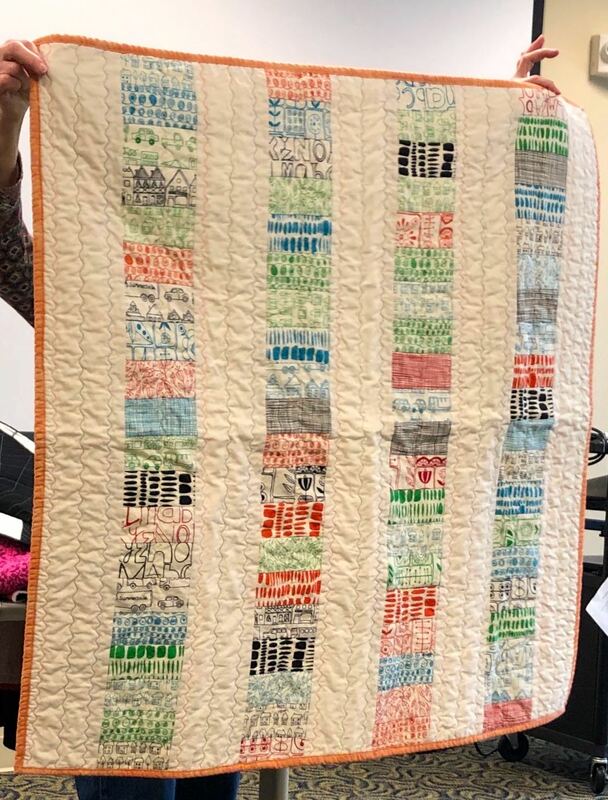 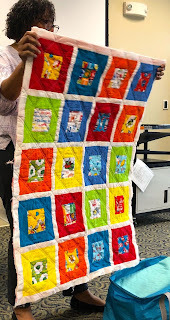 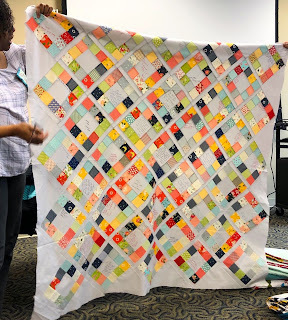 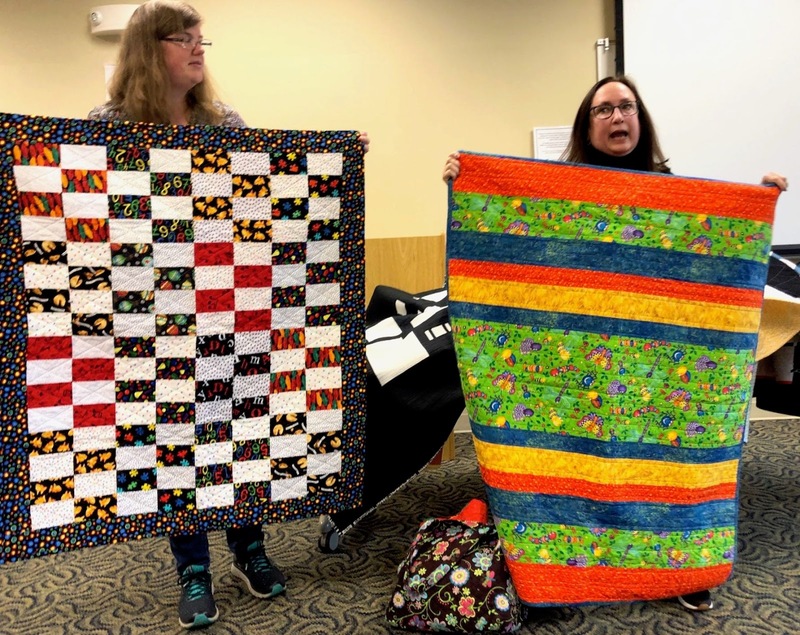 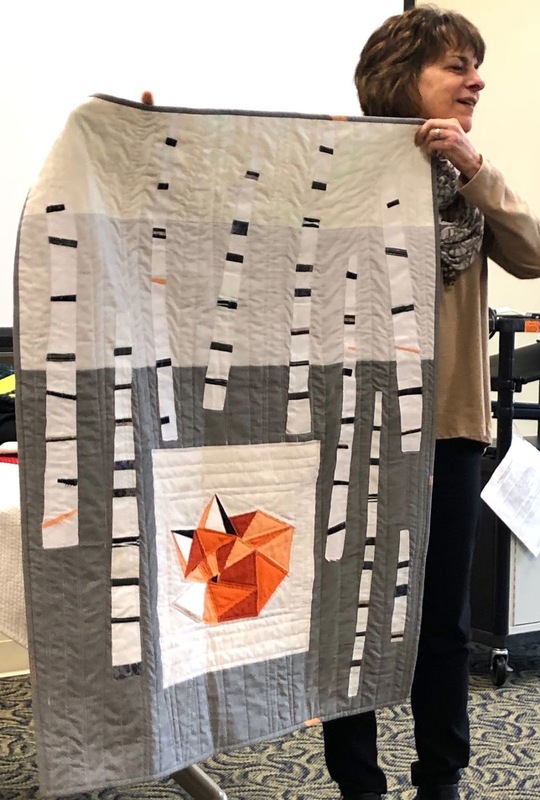 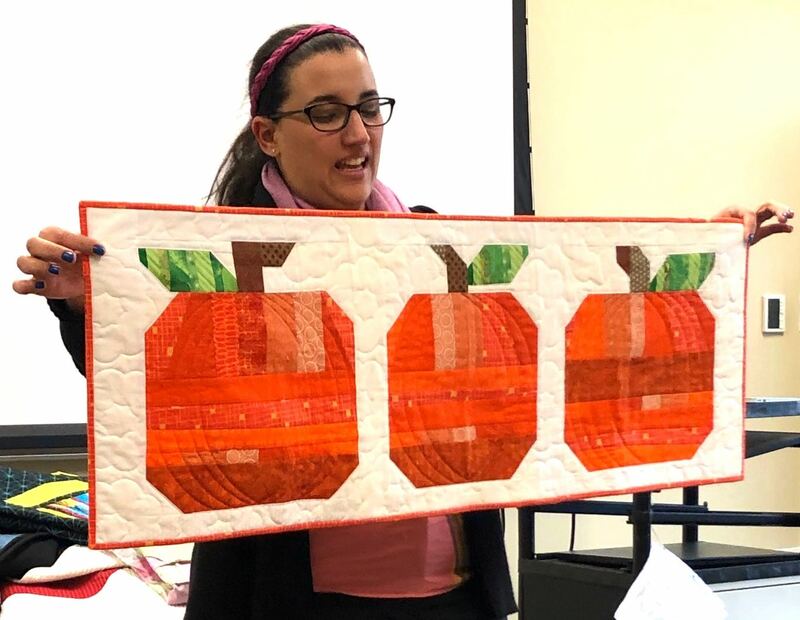 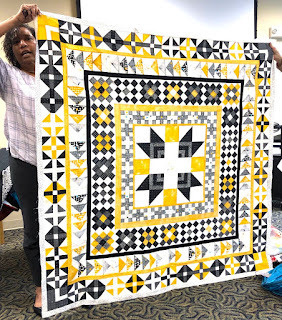 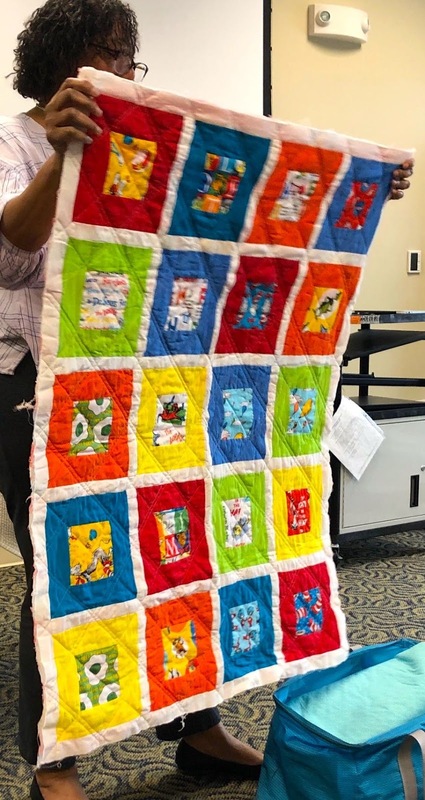 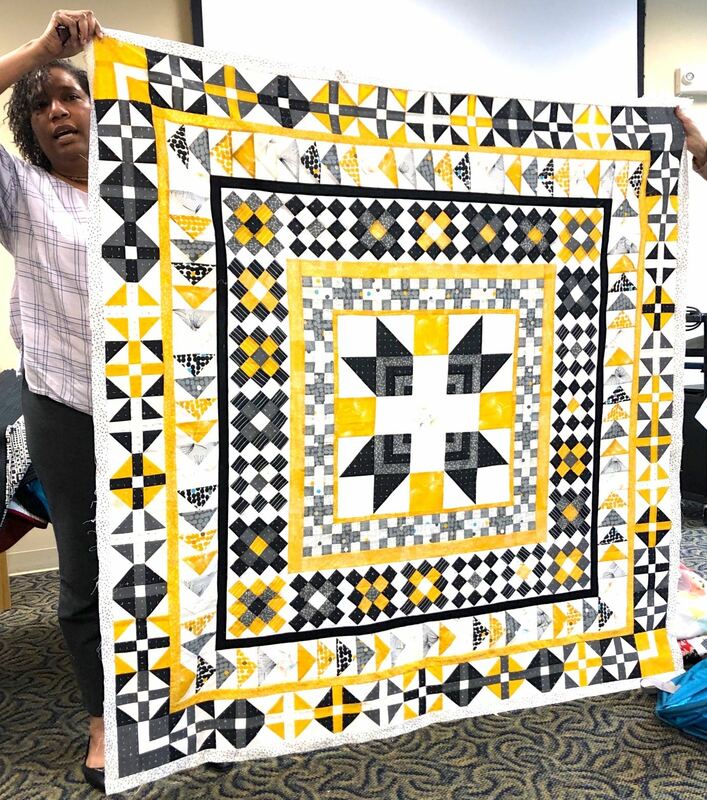 The April meeting will also be held at the Arubutus library and will include a recap of QuiltCon, a swap of name tags, and bee exchanges. 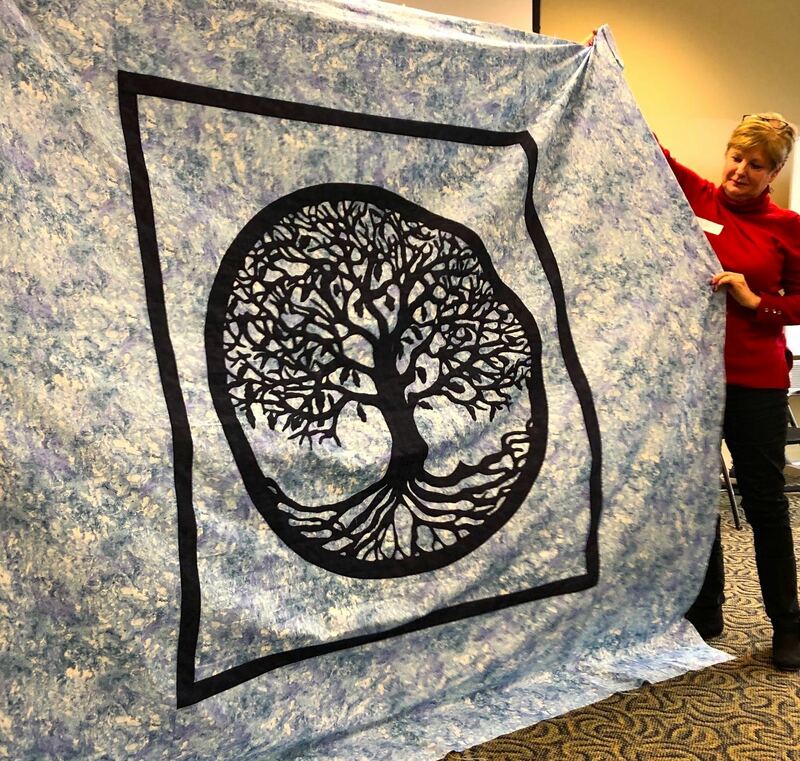 The guild retreat contract has been signed. 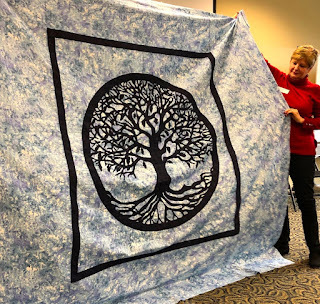 Retreat will be held the first weekend in October at Pearlstone Retreat Center. More details will be available in the summer. 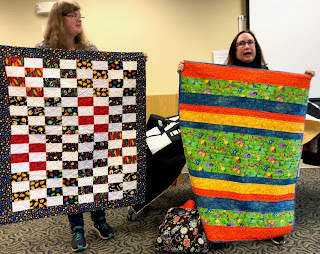 Bee groups (including Quilt in a Box) begin at today's meeting. 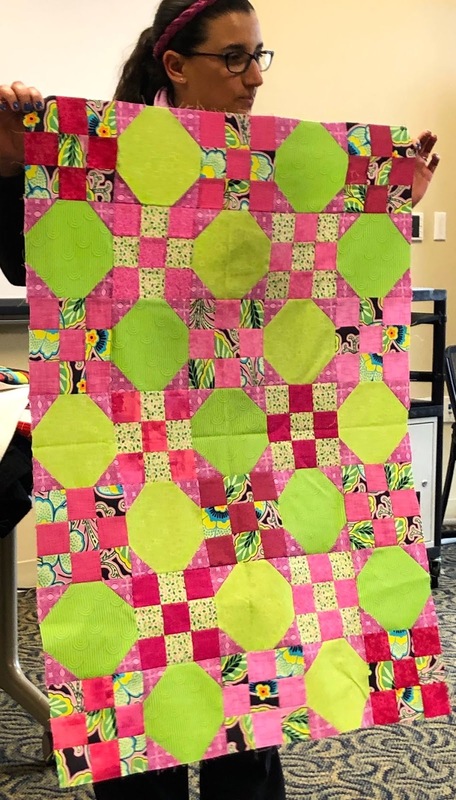 There will be a sew-in on March 30th for one of our charity organizations, the House of Ruth. 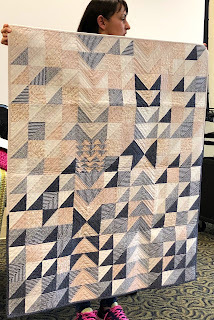 Details will follow in an email. 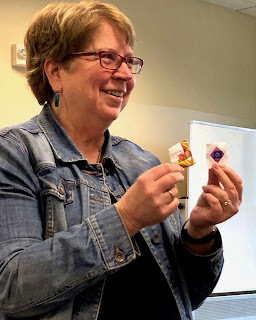 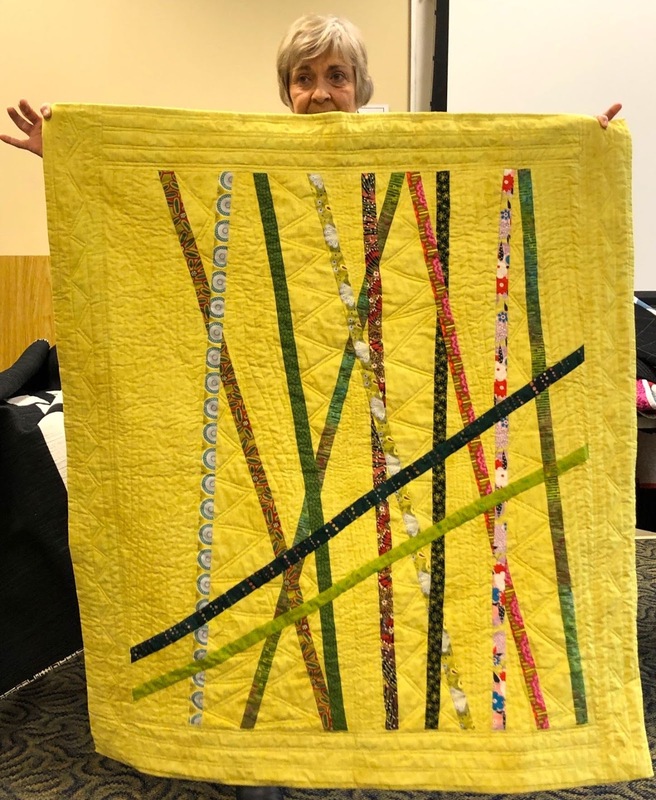 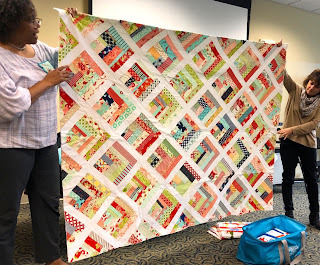 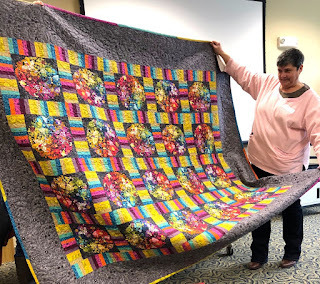 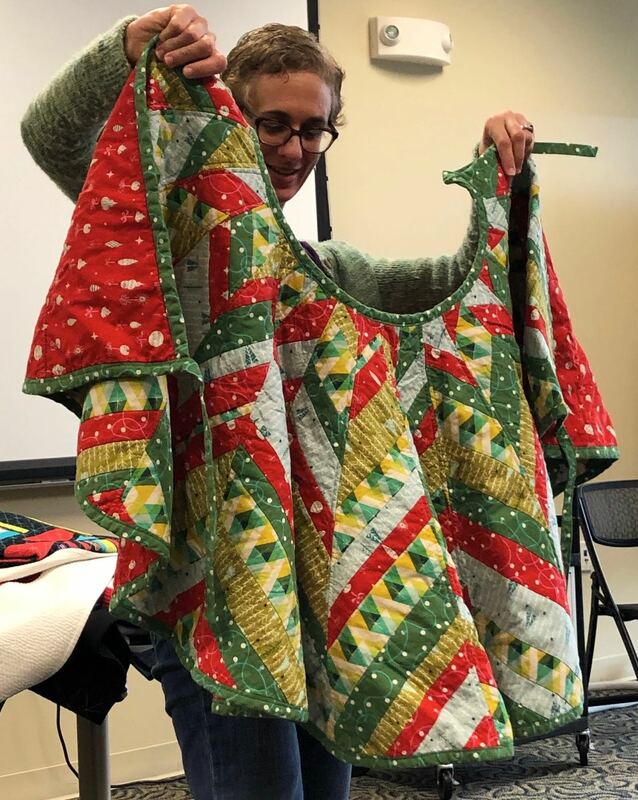 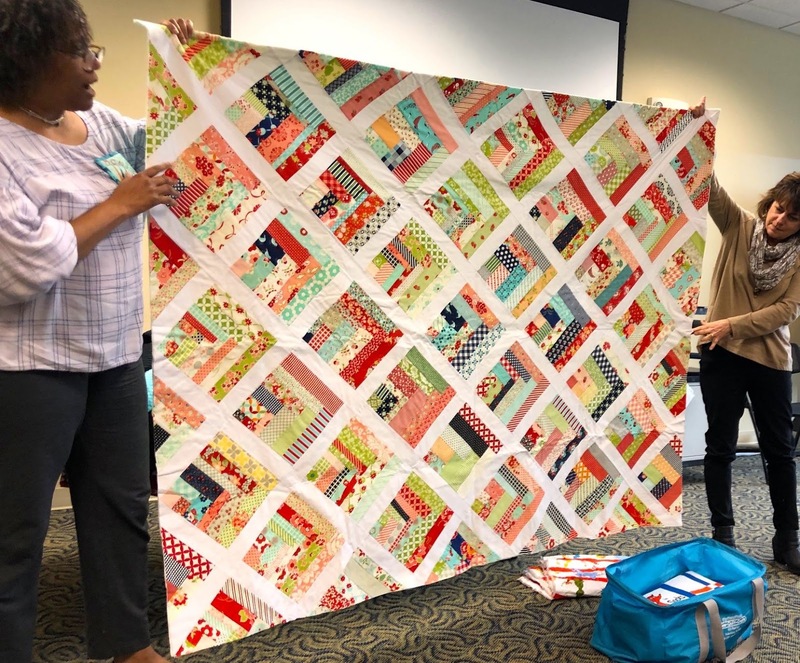 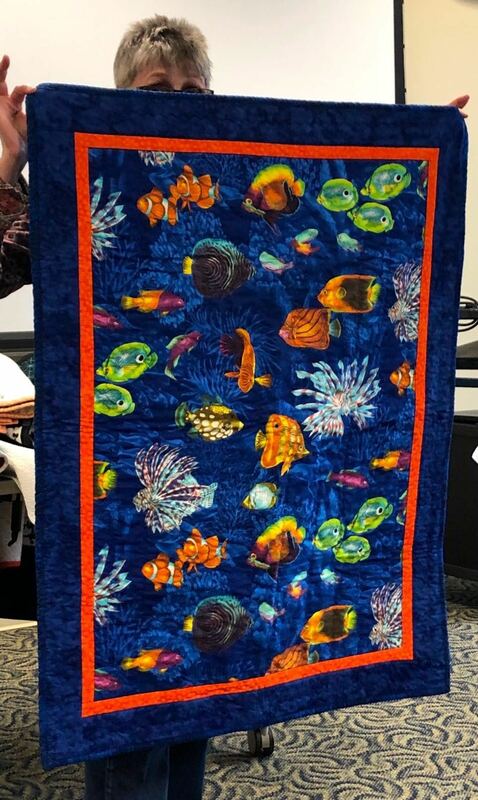 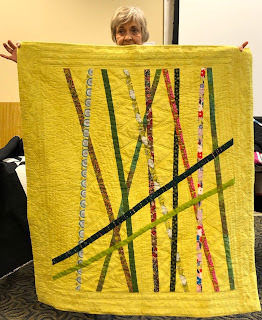 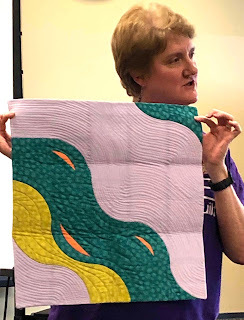 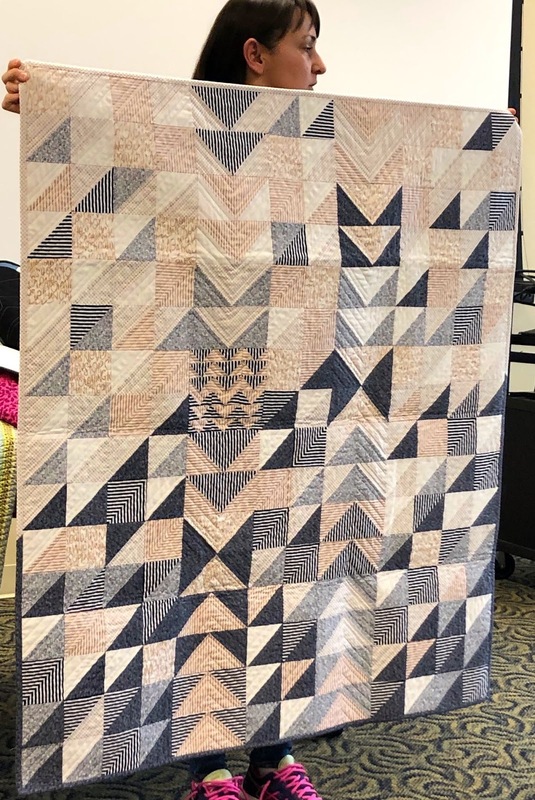 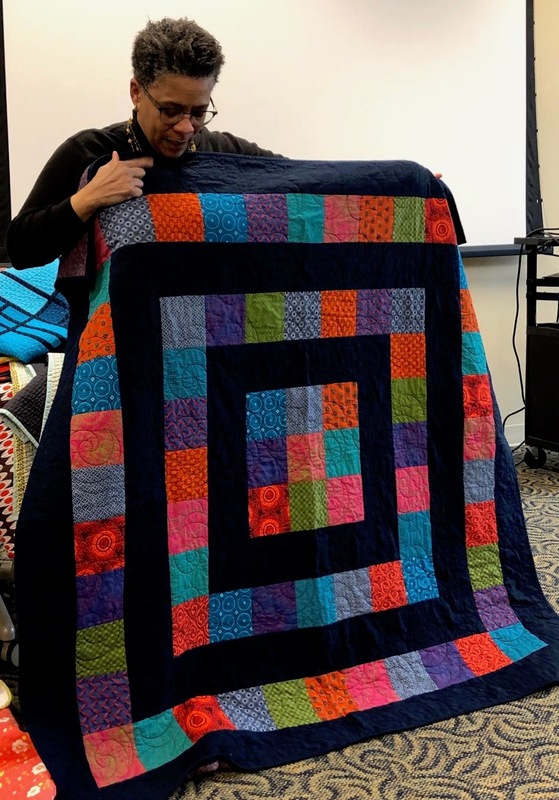 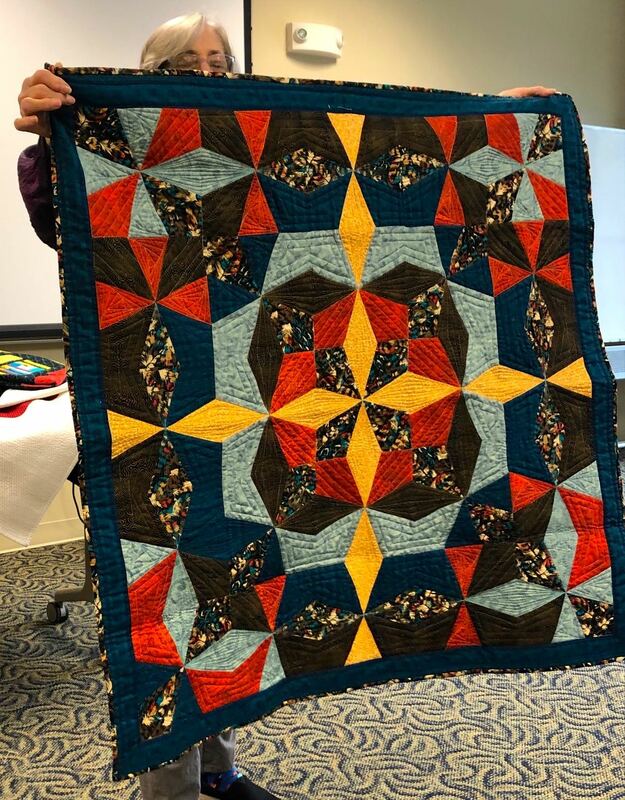 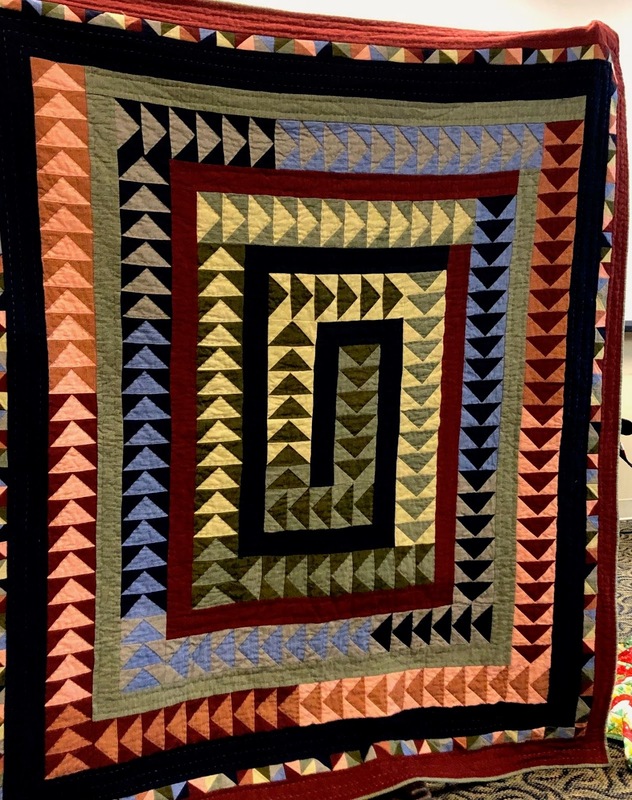 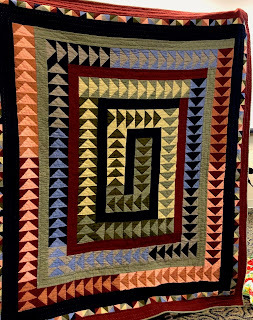 Jackie Gehring presented a lecture on Creativity and Outsider Influences on Modern Quilt Making. Janet Schoenfeld (@JanetMay12 on IG), Laura Rieben (@laurarieben), Pat Simrell, Sue McKenzie (@suewmckenzie), Amy Hood (@amyhoodarts), Laura Battatzis (@salmonandsouvlaki), Sue Myers (@suemomquilts), Diane Winter, Rebecca Ruch (@beccascrazyprojects), Kristy Taylor, Paula Wittek, Monica Richardson, Andee McKenica, Stephanie Strunge, Susan Brightman, Daniela Syed (@sewcutenlovely), and Sarah and Rose. Photographs taken and this post written by Linda Schiffer. 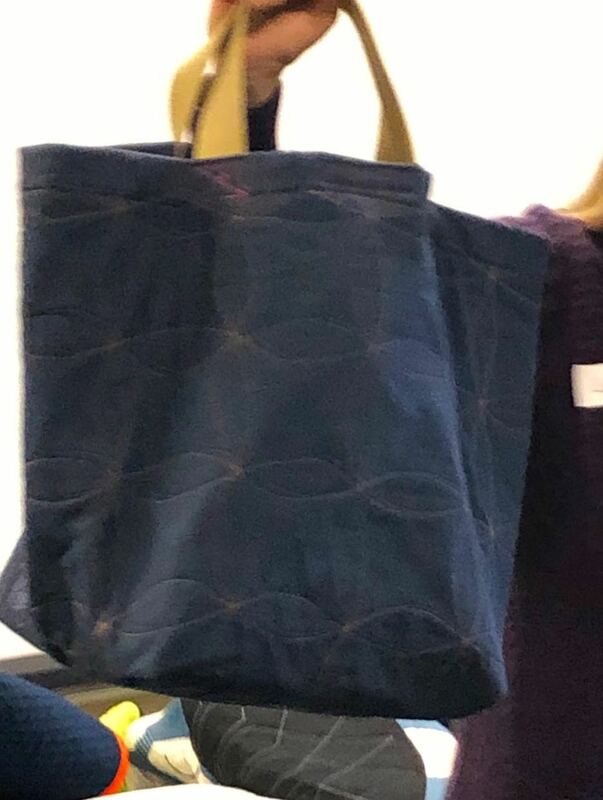 All errors are her own.